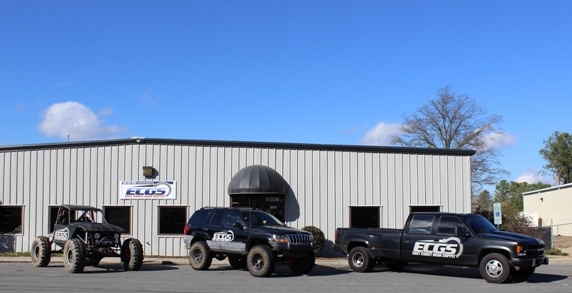 East Coast Gear Supply is a motivated company committed to excellence in product knowledge, product quality, and customer service. We believe that lack of knowledge and poor product quality lead to unsatisfied customers. We have dedicated all of our efforts to finding the best possible products at the least cost. You will notice we do not carry many gear brands or every traction device. The brands we do carry we stand behind. After all a poor performing gear or other drivetrain part will only end up costing you more time and money in the end. We are also dedicated to answering your questions. We believe that if a company is selling a product it should know the product. If we don’t know the answer to your question immediately, we will find the answer. In addition to our sales department we have a service center, so every product you’re installing we are installing. If you need help or if you want us to install a product we are more than happy to assist, and we are only a phone call or email away. We pride ourselves in being differential experts. Our goal is to provide you with everything needed to outfit your axles for battle. Now whether that battle is to get groceries in rush hour traffic, be the fastest car on Friday night, or if it is to climb the biggest rock you can find, you can bet we will be there to steer you in the right direction. We are located at 6508 Mt Herman Rd, Raleigh, NC 27617.